Mick Rock in person for Q&A following the 7:15pm show and to introduce the 9:15pm showon Friday, April 7. Mick Rock in person for Q&A following the 7:00pm show on Saturday, April 8. 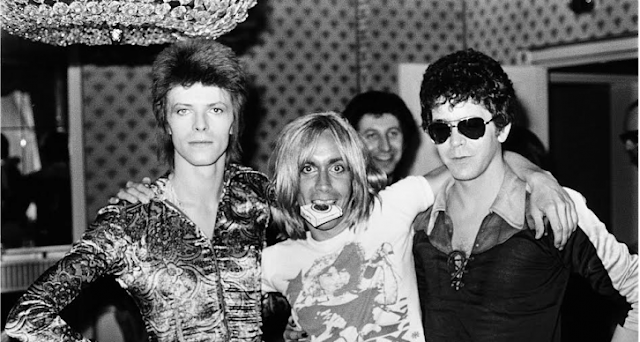 The unearthly beauty of Bowie, the savage majesty of Iggy Pop, the aristocratic pomp of Queen, the laconic staredown of Lou Reed—if you know the defining images, you very likely know the work of photographer Mick Rock, the man who could extend a rock star’s prime into eternity with the click of a shutter. Now Rock, who saw the joyful noise and the parties and the cleanup and lived to tell about it all, stands and delivers for his documentary portrait, the rambunctious chronicler of an unruly era.